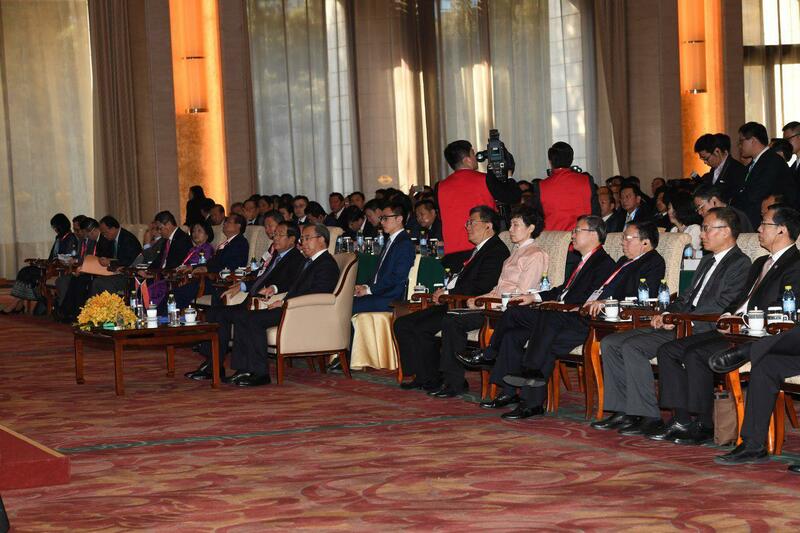 Beijing (FN), Jan. 22 – Samdech Techo Prime Minister Hun Sen of Cambodia, Hu Chunhau, Vice Premier of the State Council, and Gao Yan, presided over the China-Cambodia Business and Investment Promotion Forum on Tuesday morning, attended by 700 other Cambodian and Chinese dignitaries and distinguished guests. 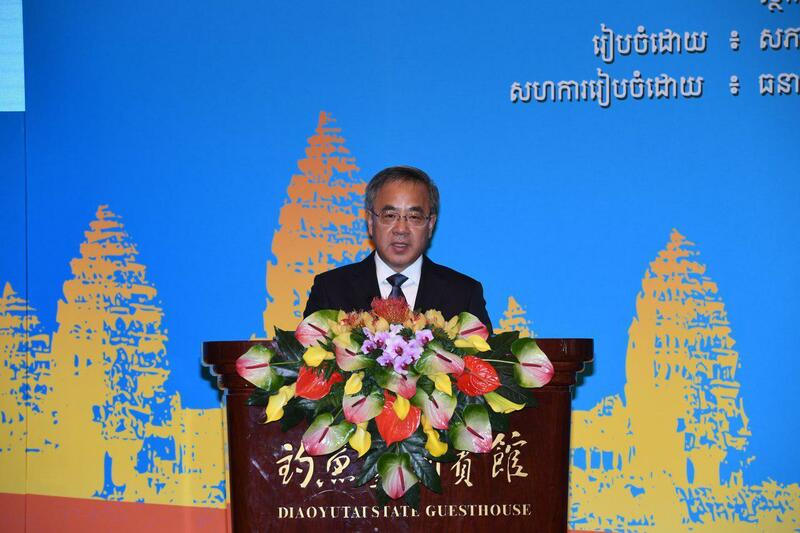 Opening the forum, Gao Yan, Chairwoman of the China International Promotion Board, stated that the Forum is a great opportunity to promote confidence of Chinese and foreign investors to come to Cambodia. 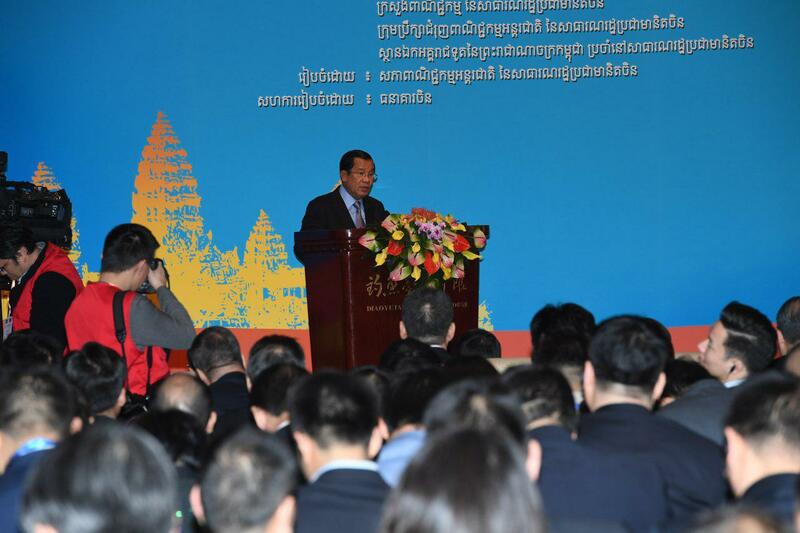 Cambodian Minister of Commerce Pan Sorasak stated that the Forum is a wonderful platform for all the investors to learn about potential trade in Cambodia in accordance to belt and road initiative. 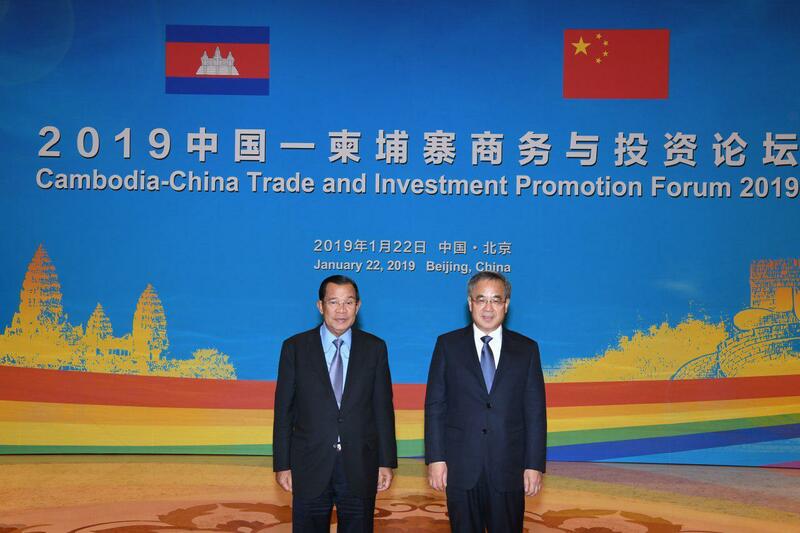 China has established four Cambodian commercial centers in several cities in China, and signed agreements and MoUs to boost Cambodia-China trade, the minister added. Hu Chunhau, Chinese Vice Premier, said the two sides have reached a new era of trade and economic cooperation that would bring a stunning achievement. Bilateral trade has grown rapidly from 2012. As of 2018, the two countries' trade volume reached over $5 billion, making China the largest market for Cambodian rice and fruit, while China also has the greatest investment in Cambodia, accounting for $3.6 billion, an equivalent to 53% of total investment in the kingdom, increased by 54% compared to 2017. 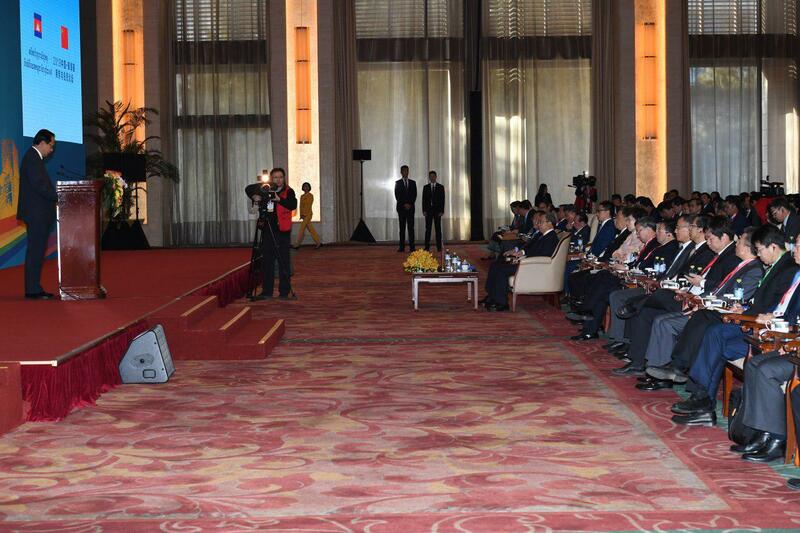 Vice Premier Hu added that China has invested about US$8 billion in energy, mining, textiles, telecommunications, and agriculture. 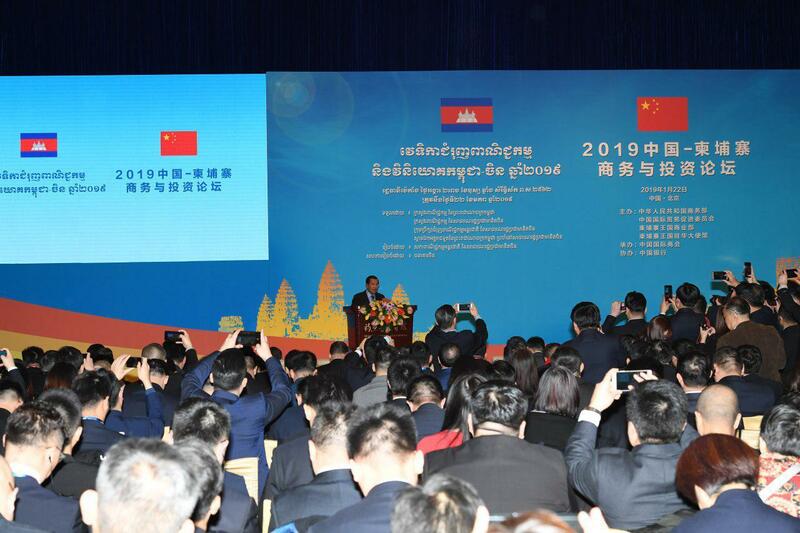 Samdech Techo Hun Sen appreciated Chinese Ministry of Commerce, International Trade Promotion Board, and the Ministry of Commerce of Cambodia for jointly organizing this important forum after the recent celebrations of the 60th anniversary Cambodia-China diplomacy. Prime Minister congratulated the Chinese Government on the 40th anniversary of the reform and opening of the People's Republic of China, which transformed China to the world’s second largest economic superpower. He highly commended President Xi’s belt and road initiative to enhance connectivity and cooperation among partnered countries. 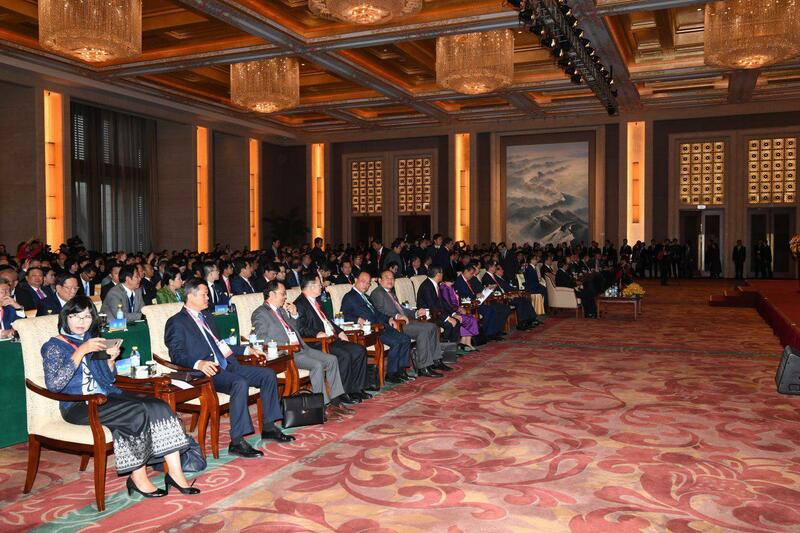 In the keynote address, the Premier stated that bilateral cooperation between our two countries has grown noticeably on political, economic, and social sectors as reflected by all-level exchanges of visits, trade, investment, tourism, and people-to-people. 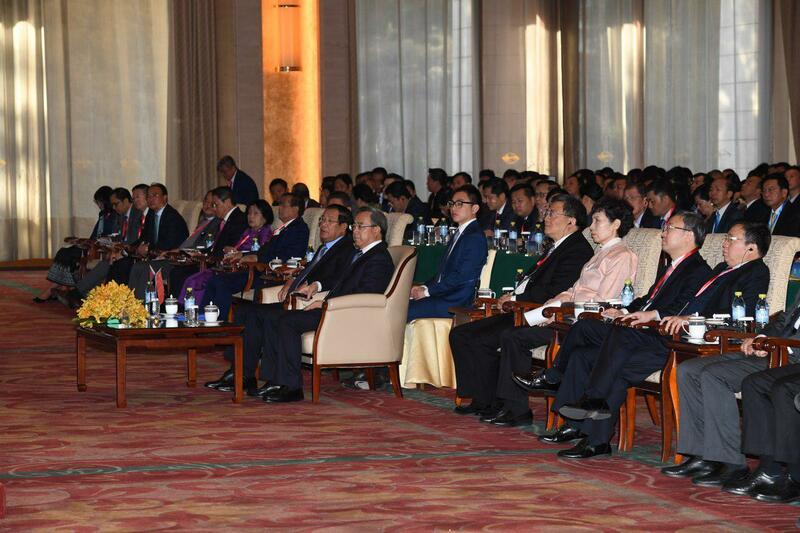 According to the Strongman, Cambodia-China agreed to promote trade worth to $10 billion by 2023. 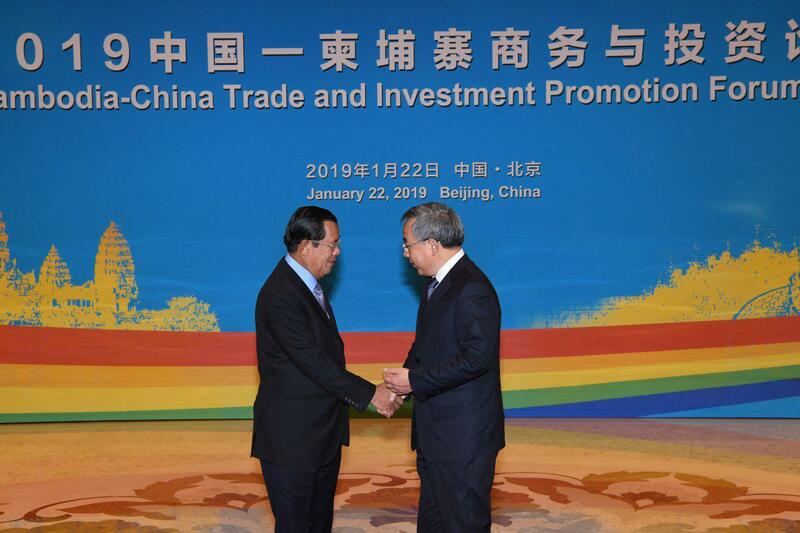 In addition, Cambodia has continued to cooperate with China in trade-related sectors, such as establishing Cambodian commercial center in some cities of China, and signing the exchange of note for 97% tax exemption. 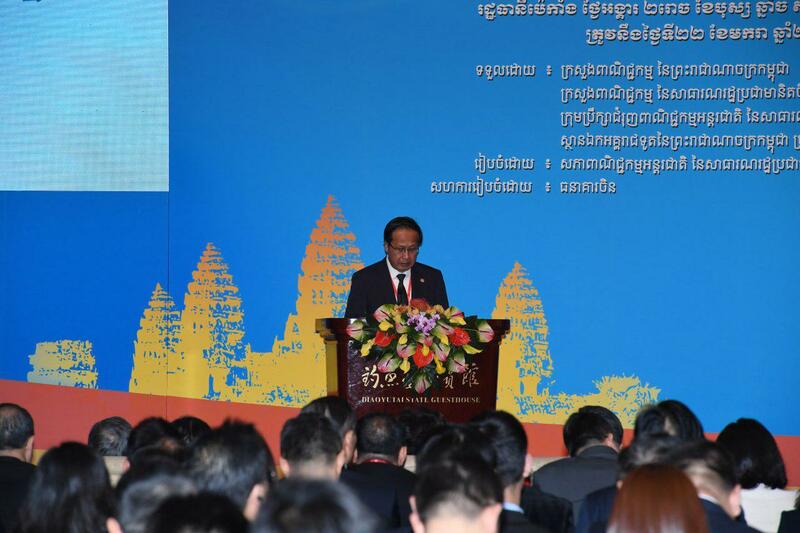 Prime Minister emphasized that after Cambodia fully achieved peace and national unity in 1998 through win-win policy, Cambodia has experience an average annual growth rate of 7% over the past two decades. This high economic growth rate allows Cambodia to achieve a low-middle-income status in 2015, and is on her track to achieve the status of a higher middle-income country by 2030, and high income in 2050. 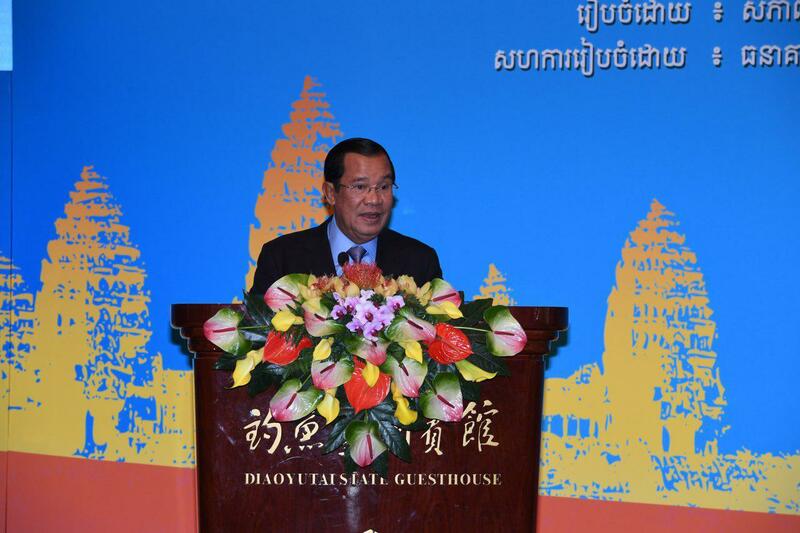 Samdech Techo Hun Sen underlined that investors should come to Cambodia for six reasons: (1) the absolute peace and political stability of Cambodia; (2) the strategic location that has become "Factory of Asia”; (3) young and potential labor force; 35-year-old group accounts for 72% of the total population; (4) open competitions for all without discrimination; 100% investment on sectors, including banking, insurance, and telecommunications; (5) the huge market; manufactured goods in Cambodia are not only supplied to local market with just over 15 million people but to Regional Comprehensive Economic Partnership Agreement (RCEP) with a population of approximately 3 billion; and (6) the incentives and investment protection agreements that Cambodia-China signed.